Coseppi Kitchen’s adventures in spirits, fine liqueurs, bitters, and all other things cocktail. 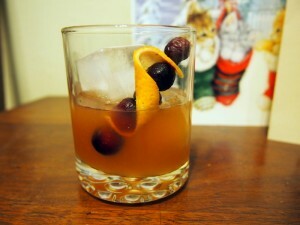 An old fashioned is a really simple classic cocktail of sweetened bourbon with orange and maraschino cherry garnish. This recipe uses cranberry simple syrup in place of granulated sugar to bring out the holiday flavors and adds some orange juice for some added winter time vitamin C.
Stir bourbon, cranberry simple syrup, and orange juice. Pour over ice in an old fashioned glass. 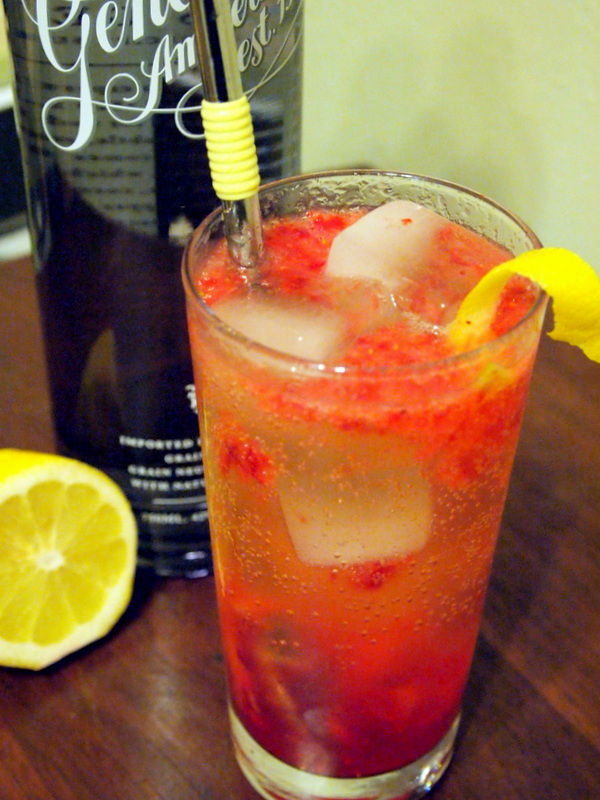 Add bitters and garnish with fresh cranberries and an orange twist. 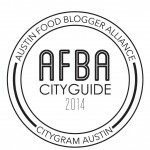 Austin, I found the perfect way to use Johnson’s Backyard Garden‘s personal watermelons. You’re welcome. 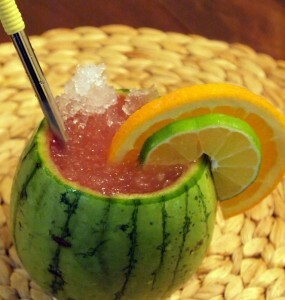 Start by preparing your watermelon juice and serving vessel. Slice the top inch of the watermelon off to create the top of your glass. If necessary remove a small slice from the bottom to create a level surface, but be careful not to slice too deeply into the flesh. Now, carefully spoon out the watermelon pulp. Place the cup shell in the refrigerator to chill and juice the watermelon pulp with a juicer or by smashing and straining through a fine mesh sieve. Combine cachaça, lime juice, Grand Marnier, simple syrup, and four ounces of the melon juice in a shaker with ice. Shake to chill. Fill the melon glass with crushed ice and strain the cocktail into the melon. 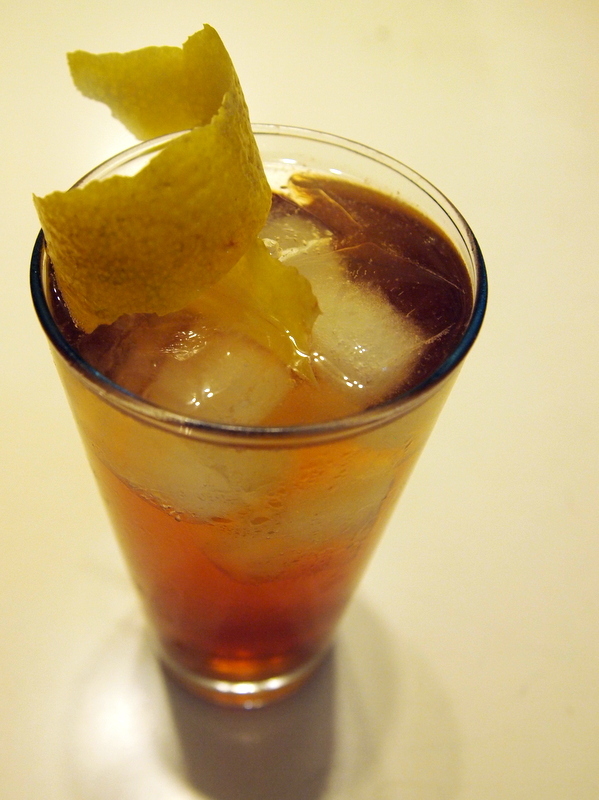 Add a dash of Angostura and garnish with orange and lime slices. 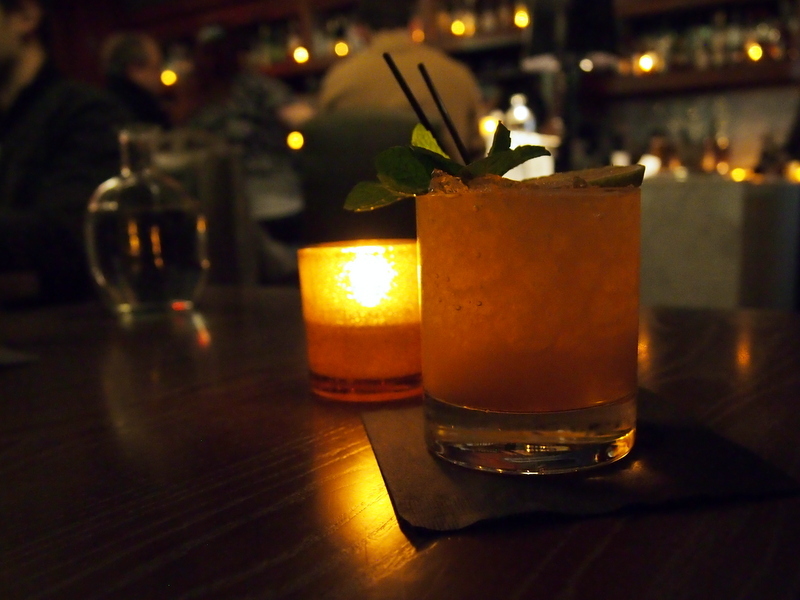 The Keeneland Breeze was developed by Makers Mark and is a staple at the track in Lexington. 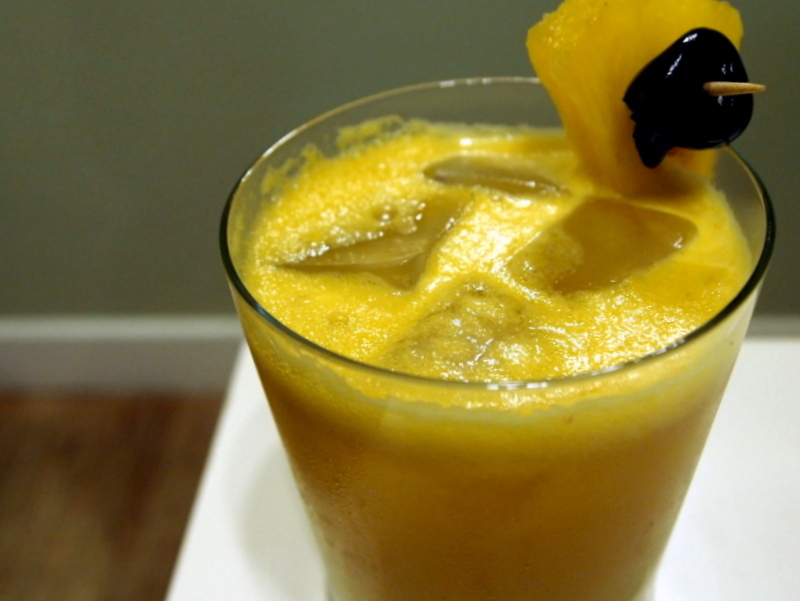 Stir bourbon, juice, and orange liqueur together in a shaker with ice. Fill a tumbler with fresh ice and add chilled bourbon mixture. 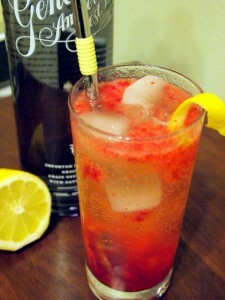 Top with ginger beer and garnish with pineapple and cherry. Bring sugar, water, and mint to a boil over medium-high heat. 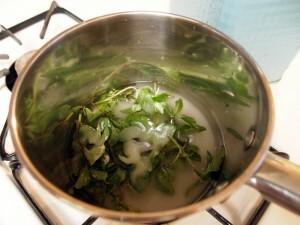 Once the mixture boils, simmer and stir until sugar dissolves, about two minutes. Cool at room temperature then strain into a non-reactive sealable container. Refrigerate until ready to use. Makes about 6 ounces of simple syrup. 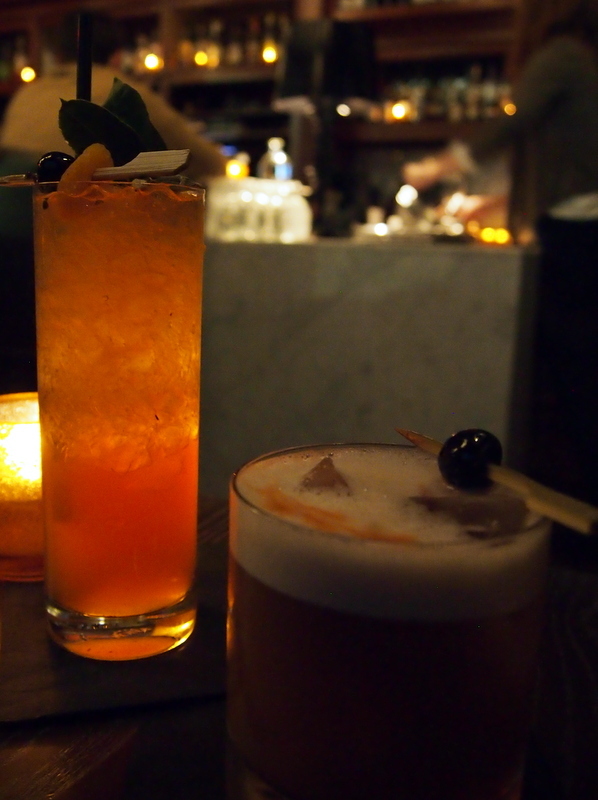 Manhattans are an extremely easy and delicious drink, and happen to be my favorite class of cocktail. 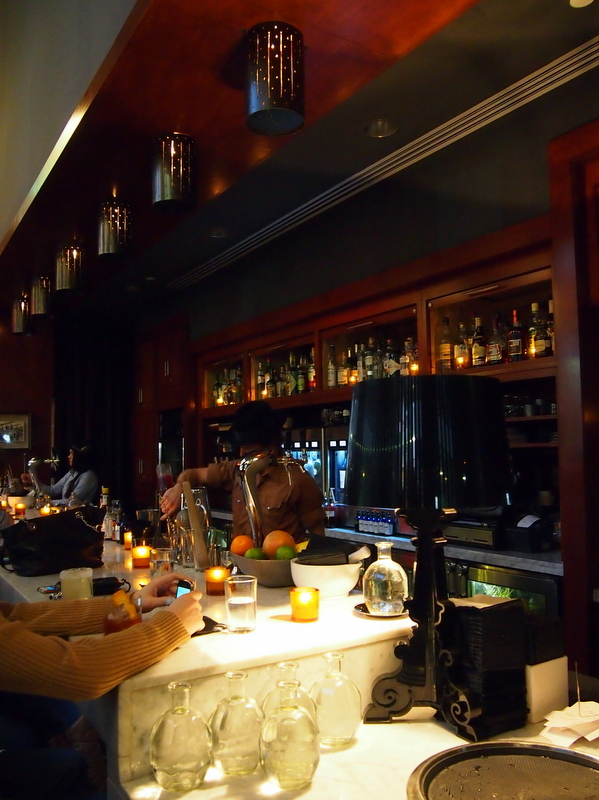 The typical Manhattan is some ratio of whiskey – bourbon or rye – with a similar measure of vermouth. I say similar because, while I prefer a 1:1 ratio of whiskey to vermouth, if you like a sweeter drink feel free to favor the vermouth. Or, as many do, if you want a stronger kick go for a stronger pour of spirits or a higher proofed whiskey. As a spiritus drink, meaning one that is not adulterated with additional juices or waters, any adjustments in the ingredients quality or proportion will produce discernible results. The best Manhattan is the one you like, so start with a basic recipe, make the tweaks you need, and find your Manhattan. 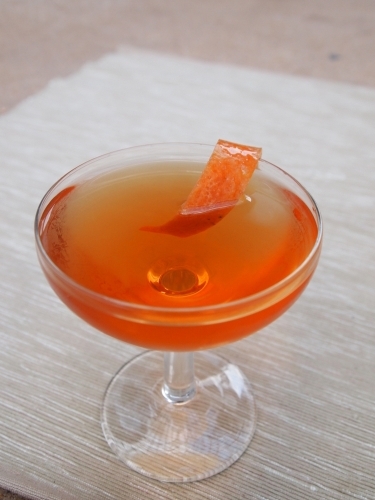 The “Old Standard” Manhattan, as reported by David Wondrich in Imbibe!, is one part whiskey, one part vermouth, two dashes of gum syrup, and a couple dashes of Peruvian Bitters. Thanks David, you had me up until the gum syrup. We hope to write more later on the somewhat obscure ingredients, but I am here to tell you that you can make a fantastic classic Manhattan without them. Fill a shaker with ice and stir ingredients until the cocktail is well-chilled, about 40 seconds. 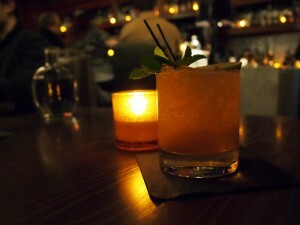 Strain in to a pretty glass, garnish as you like, and serve. 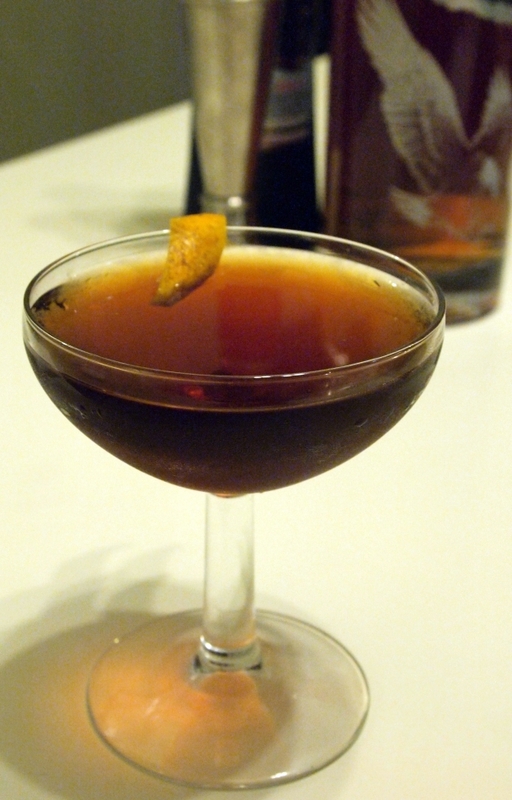 So, once you get the Classic Manhattan the way you like it is fun to play with the vermouth. Vermouth is a fortified wine, most commonly Italian (Martini & Rossi) or French (Noilly Prat), red or dry. The base wine may be made from a variety of wines or blends that are then sweetened and flavored with botanicals and spices. Vermouths typically come in under 20% alcohol by volume and they are all different. Playing around with a variety of vermouths is a fun way tinker with the Manhattan, but it can also be fun to try other fortified wines. There are a lot of new and exciting fortified wines coming on the market now and many are very affordable. It is my recommendation to go to your favorite local liquor store, check out their liquor selection, see if there is any new under 20% ABV fortified wine that sounds fun, then take it home then play with a whole new type of Manhattan. The following recipe uses Cocchi Americano, a fortified wine flavored with cinchona, the same bittering agent in tonic water (that is, the same medicinal bark delivered through tonic water). 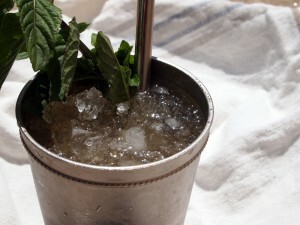 Fill a shaker with ice and mix ingredients well until the cocktail is chilled, about 40 seconds. Strain into a pretty glass, garnish with the twist, and serve.